Hand-tied Bouquets for Bride maid and Bride. We were asked to combine complementary colours in a bouquet. 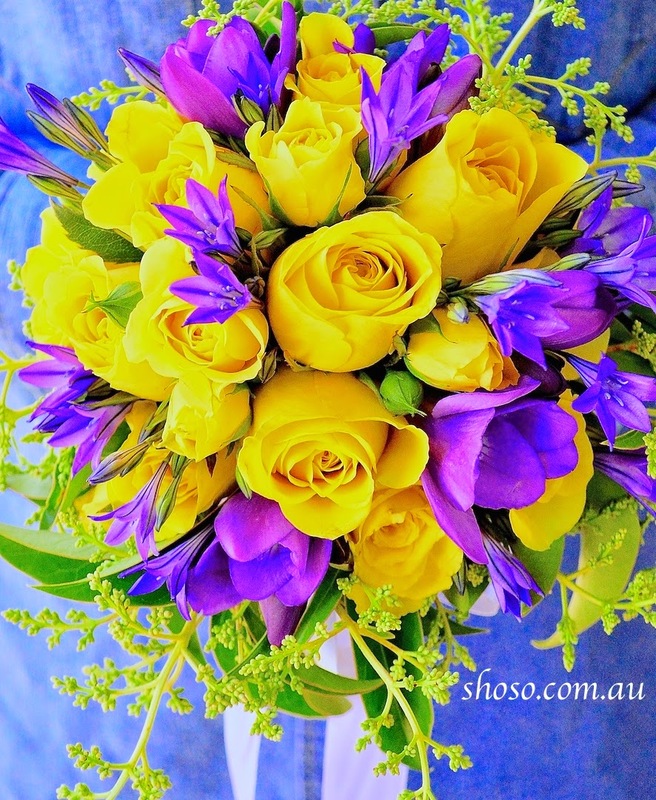 It is a challenging request, but we mixed about 70% yellow and 30% purple to create strong impact and harmony. We also used three different types of roses (small, medium and large) to create dynamic order.